It's Monday, which means we all need a little something to keep us afloat after a lovely weekend, right? Thankfully, that came in the form of the new trailer for The Last Five Years hailing from talented Broadway composer, playwright, and lyricist James Robert Brown. The film stars the ever-so-talented and lovely Anna Kendrick, whose vocals are off the charts (like in December's Into the Woods), and a singer/actor some might not be so familiar with, Jeremy Jordan. Just who is this man capable of producing so many feels in one two-minute trailer? Well, Jordan is all kinds of fantastic. In addition to those charming good looks (seriously, talk about gorgeous), Jordan is a man of many talents. From singing to dancing to starring on Broadway to living it up on the small screen to playing the so-called bad boy, this 30-year-old is beyond amazing. Still not convinced? First, watch the talked-about trailer below, which will surely blow your socks off. Then, be sure to keep reading, so I can list off even more details about this fine specimen, because we all need another someone to admire and fawn over in Hollywood, especially someone who is a triple threat, right? 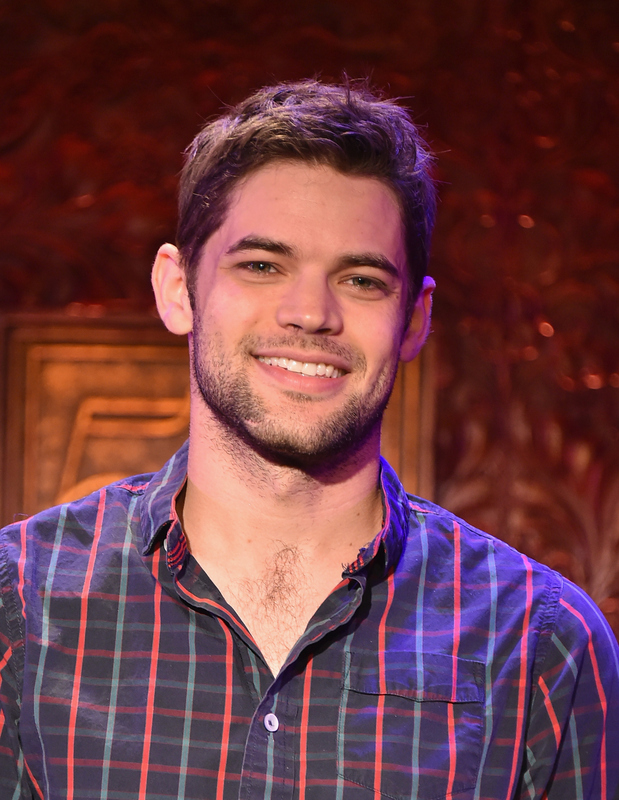 From playing lead Jack Kelly in Newsies to Tony in West Side Story to Rock of Ages to Clyde in Bonnie & Clyde, Jordan has starred in a variety of Broadway productions. Not only can he act, but he also sings (his voice is uh-mazing) and dances (whoa!). Fans of the short-lived NBC show probably know Jordan best as Jimmy Collins aka the jerk. He joined the cast at the beginning of Season 2 as a songwriter forming a new musical with his roomie Kyle and with help from Karen (Katharine McPhee). Jordan received the honor of being nominated for a Tony for his performance as Jack Kelly in Newsies. Step aside, Christian Bale, because it looks like Jordan be giving you a run for your money. In 2012, Jordan married Ashley Spencer, who is also familiar to the stage of Broadway. She, too, starred in Rock of Ages and, as you can see from this photo, they're absolutely adorable and, obviously, have a blast together. Who else is ready to see Jordan in The Last Five Years? Yeah, me too!